Over the years I have seen lots of competent, developing drummers. Many of which have a fantastic sense of rhythm and time keeping, and display a good overall level of drumming ability. 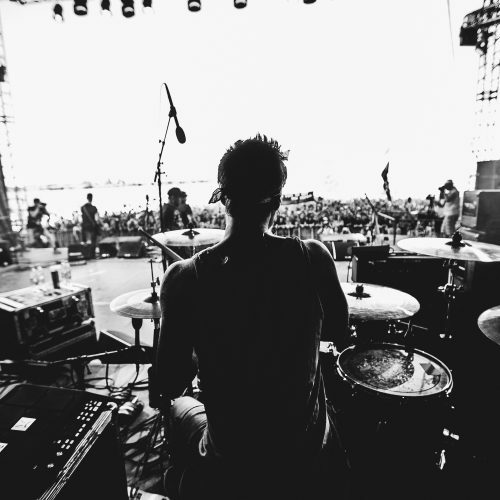 Whilst being filled with huge potential, lots of drummers are being held back by fairly common bad habits that inhibit a drummer’s optimal level of performance. These habits are easy to fix but can affect various areas of a drummer’s playing. You might be surprised to see you might be a culprit of one of these common drumming mistakes! This is a very common issue, and one that a lot of drummers are afraid to admit! The most common excuse being along the lines of: “I feel most comfortable with this size”. Yes, it is important to use drumsticks that feel comfortable, but I’ve experienced many drummers prone to being afraid to step outside of their comfort zone. I frequently see grown men using 7A sized drumsticks for rock, and there is no power generated whilst they play despite how much force they might be exerting on the drums. 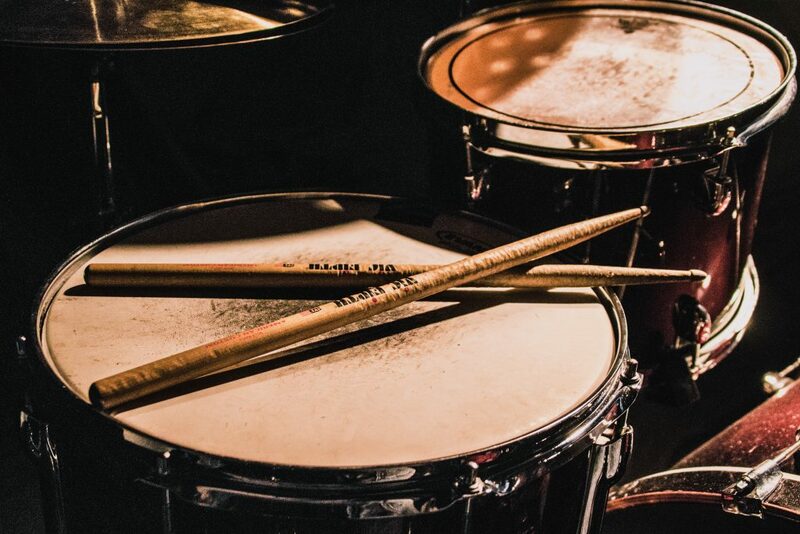 The size and weight of a drumstick has a huge impact on a drummer’s performance, and whilst there is no “perfect stick” for each individual drummer, there is an optimal balance of weight and playability. Drumsticks that are too light will be unable to draw out a good sound from the drums. 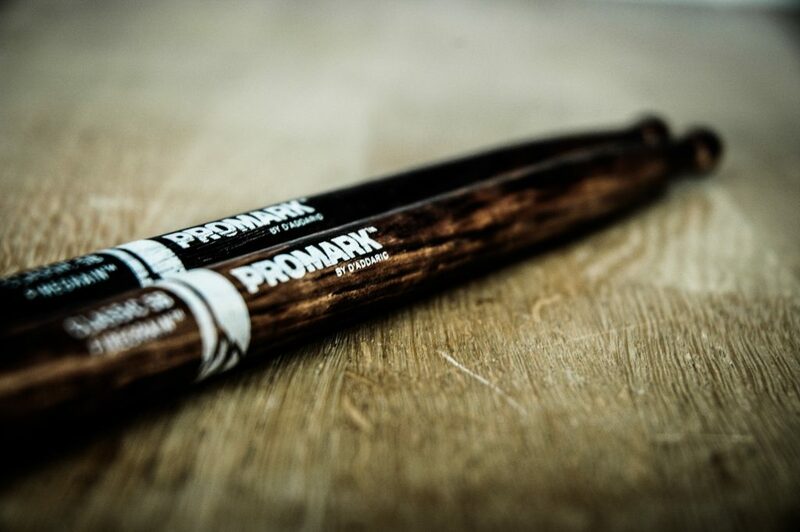 Using drumsticks that are too heavy will have an equally negative effect on your playing as they consume too much energy and impact your speed. There are hundreds of different drumstick sizes out there for you to try. If you might be struggling to find the right drumstick size for you, I would recommend going to a music shop and experimenting until you find a great fit for your style of playing. As a rough guideline to suit most musical styles, I would suggest 5A for children and 5B for adults. To find something better suited try experimenting with various signature artist models that are available in most music shops. This is another common mistake which I see lots of drummers falling into bad habits with. 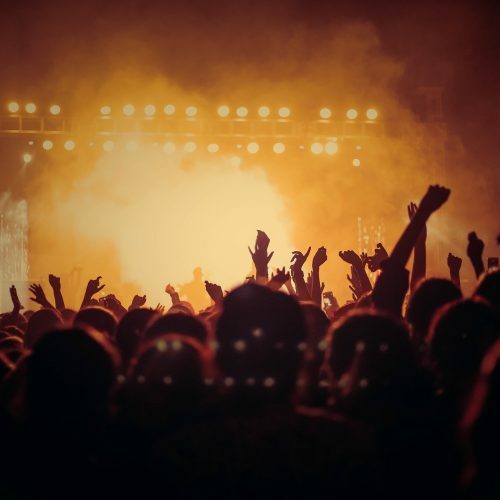 As well as inhibiting drumming performance, this also poses a risk to injury if a drummer is playing for extended periods of time. 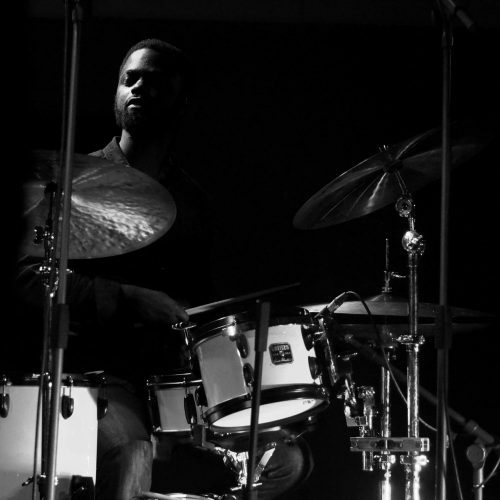 Maintaining a good drumming posture is essential for allowing you to play the drums at the very best of your ability. 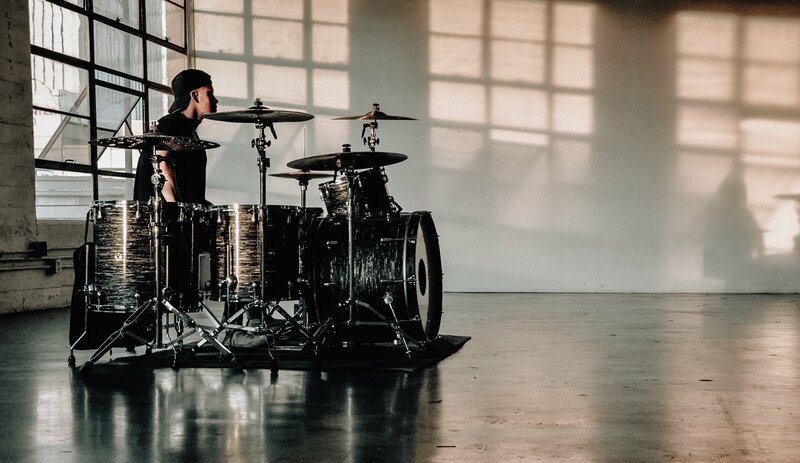 Often I see a drummer having to extend his legs further than necessary to reach pedals, and most commonly the hi hat pedal. This puts a lot of unnecessary strain on the hamstrings and this incorrect technique can lead to injury such as hyperextension. 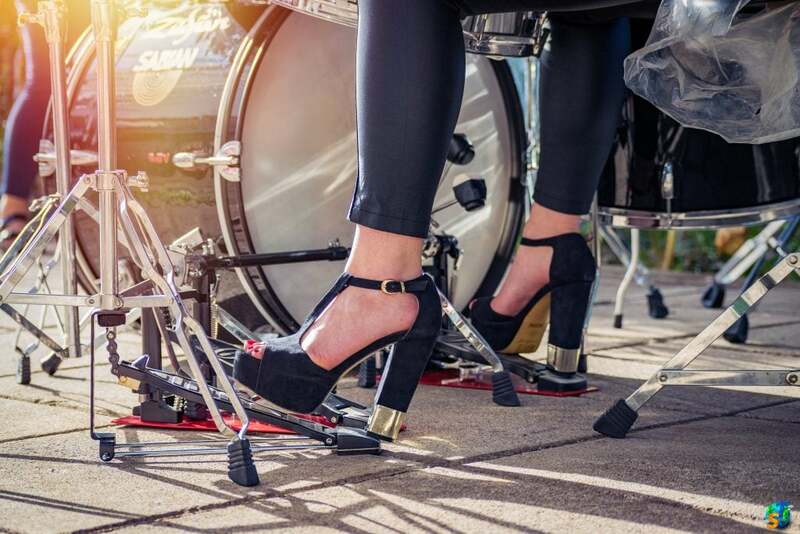 Both the hi hat pedal and bass drum pedal should be positioned exactly where the feet fall naturally whilst sitting down, resulting in roughly a 90 degree angle between your knee and ankle. This is a mistake that has such a huge impact on a drummer’s playing! It seems so straightforward yet it’s something drummers do more frequently than you might think. 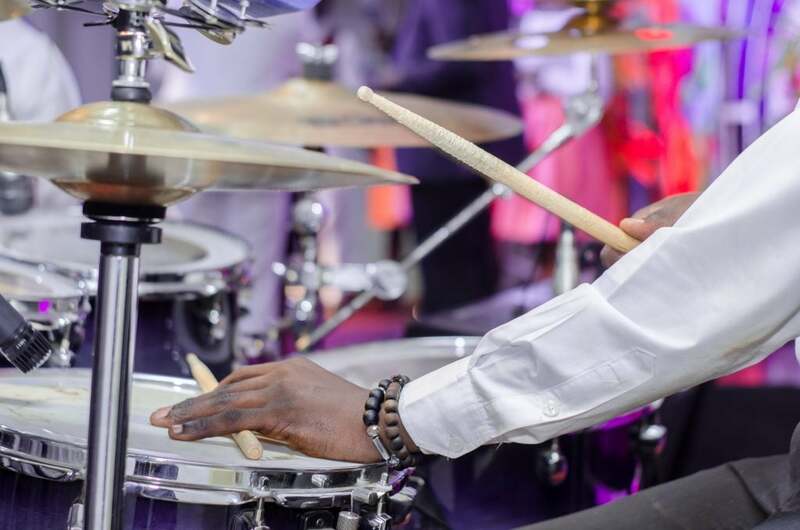 Not hitting the middle of the drums is a consequence of inconsistency and sloppy playing, which demands to be corrected and tightened up through effective practice and repetition. Hitting the edges of the drum skin, or even worse the rim of the hoop, creates a weak and shrill sound that makes it apparent you have made a mistake with your playing. Playing on a snare drum is when the inconsistencies of your playing become most apparent. Each area on the snare drum produces a different sound; every fraction of space will produce a unique tonal resonance that reveals uneven playing. 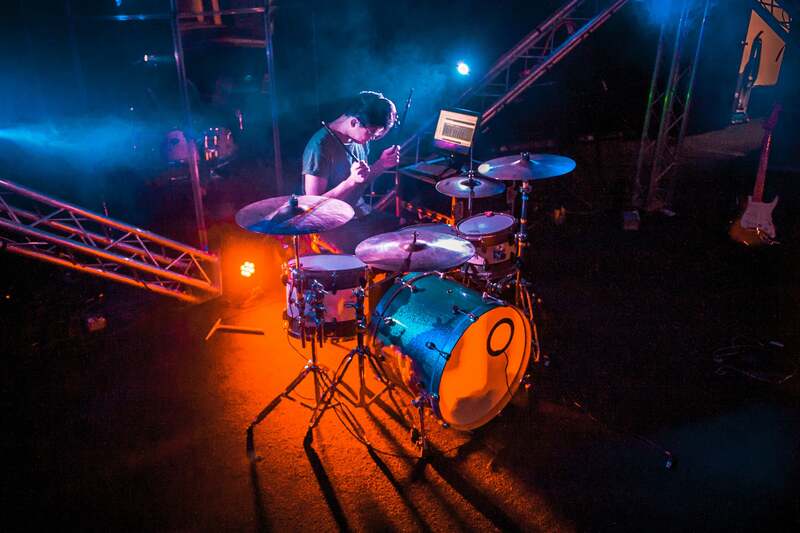 Whilst we are not robots, or near perfect playing machines, it is a significant measure of a drummer’s ability to demonstrate accurate control across a drum set. Similarly to the previous drumming mistake, this also revolves around the theme of lacking precision and control on the drum set. But this is a consequence of a potential lack of concentration or due care whilst playing drums. Here’s an example. A drummer might be playing moderately loud in a verse; with a simple 4/4 hi hat beat. But when the chorus kicks in he decides to exert incredible force and play as loud as he can for 30 seconds, before going back to a normal volume. You might argue that this shows a human aspect within the playing, but it shows negligence for the song, and what the music as a whole might require. Another example might be a drummer that plays a really solid groove throughout a song, but then decides to go into his exciting fill very tentatively, and as a result plays so quietly that his drum fill is drowned out completely by the rest of the instruments, and it goes to waste. 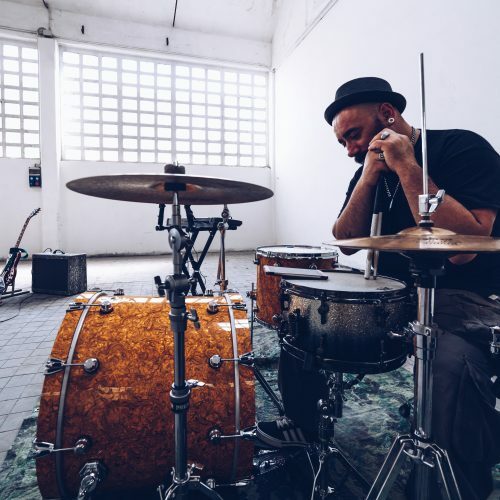 It’s important to take into consideration the needs of the music, and to play in a manner that demonstrates complete control behind the drum set throughout a song. These are all fairly common drumming mistakes that I am bringing to your attention in the hopes that it might bring to light some potential areas of your playing that you might not have considered. Whilst you may also not be aware of some of these points, and believe they might not affect your drumming as much as you might think. Correcting these mistakes will significantly improve your drumming performance and allow you to play with more confidence and enjoyment. All these mistakes can be fixed with a positive attitude, good technique and repetition of practice. The key to improvement is to become aware of a weakness through realization, and then working to correct it through dedicated practice.